Motorists memorized the rooms of his car, the date of issuance of the rights and many other relevant information. However, it is unlikely that even the most experienced of them can remember the VIN number. However, it is not necessary. The main thing - to know exactly where and how to find this number if necessary. VIN code of the car consists of seventeen characters, each of which carries specific information about the car. 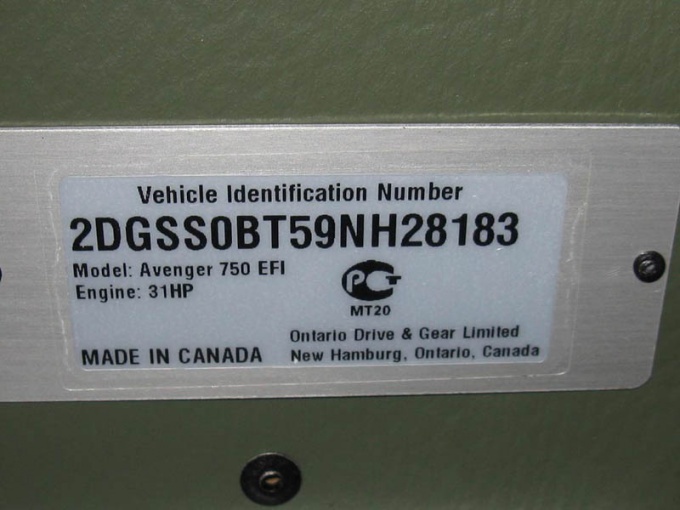 To find VIN, first look in the vehicle documents. It can be a vehicle (PTS), a registration certificate or insurance policy. When buying a used car with special care take to match the VIN specified in the vehicle documents. Inspect the car and find the plates with the VIN-number. They are usually located under the hood on the arch of the driver's door or in the lower part of the windshield. Fix code to test it using a database on the Internet. The VIN number is divided into 3 parts. The first three digits indicate the code of the country of the manufacturer, the manufacturer and also the model description. So, numbers 145 talking about what the car was made in the USA by Buick Corporation. The transcript is as follows: 1 in the United States; 4 - the manufacturer of Buick; 5 - a description of the car. In the next part of the VIN important ninth digit, which is considered the control for the entire room. It find out the correct VIN in General. The code symbols from 10-th to 17-th describe the distinctive quality of the machine. The 10th character identifies the year of manufacture can be as a digit and letter. For example: A - 1980; 6 - 2006, etc. Check the VIN through the Internet. Many sites offer the possibility of decoding the VIN. Here are some of them: http://vin.auto.ru, http://vin.su, http://www.vin2.ru. Go to one of the addresses below and follow the instructions on the website. Check the selected to buy a car for bail bonds, the correctness of VIN-number, the vehicle (not all information may be available).